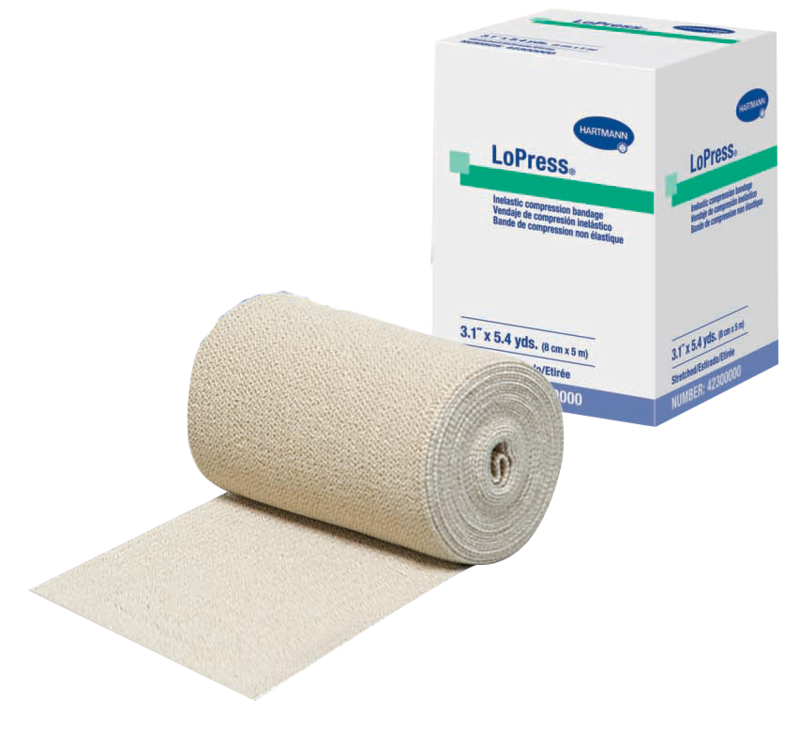 LoPress® is a high quality cotton bandage that provides maximum resistance while reducing the risk of constriction. LoPress® is designed for repeated use and withstands numerous washings while resisting deterioration from ointments and medications. LoPress® allows flexibility of movement so it can be worn during exercise. Inelastic weave reduces risk of constriction.